This is a large plot of land located in the town of Castro Marim in the eastern area of the Algarve. It comes with planning permission for a luxury, high specification development with state of the art modern holiday homes. 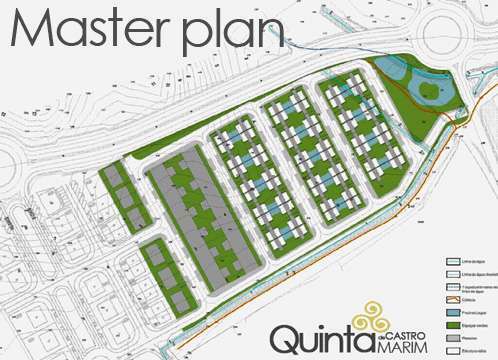 The development will be called Quinta de Castro Marim and will be a mixture of spacious apartments and villas. 96 apartments with spacious terraces, over 72 sqm of living area and communal swimming pools on the roof tops. They will comprise a lounge, kitchen and dining area, 2 bedrooms and 2 bathrooms. The land is less than 3 kms from some of Europe’s most fabulous beaches with clean white sands both to the east and west. 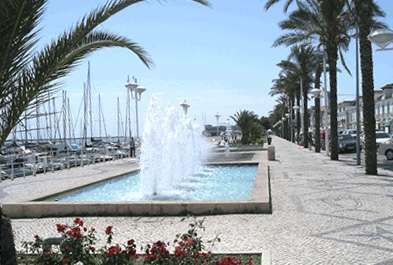 Less than 2 kms away is the well situated Marina of Vila Real Santo Antonio. It is positioned on the mouth of the River Guadiana and a day trip up the river can be taken to discover inland Portugal. The Algarve is a golfer’s dream and offers over 40 top courses. Close to Quinta de Castro Marim are some of the best courses such as Castro Marim Golf, Quinta do Vale, Monte Rei, Quinta de Ria and Quinta de Cima. Quinta de Castro Marim will offer all owners special green fees in the local courses. Castro Marim is a lovely town rich in culture and tradition. It has houses with white walls and brightly-painted borders, flat roofs and ornate Algarvean chimneys. There is the sea on one side and on the other there are green hills as far as the eye can see, scattered with almond, orange and olive trees. For nature lovers there are the salt pans with over 153 species of birds to spot, including storks, avocets, sandpipers, mallards and the ever popular flamingos, some permanent to the area and others stopping over while migrating. Castro Marim is situated on the banks of the River Guadiana which is the natural frontier between Spain and Portugal. 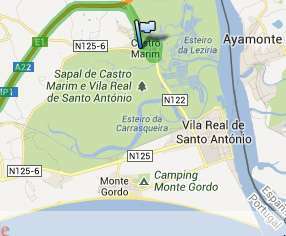 Faro international airport to Castro Marim is 55 km (40 mins) and Lisbon is 300 km (2.5 hrs).